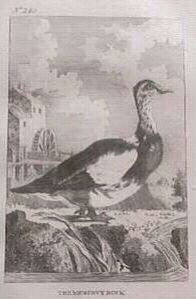 This is a antique picture of a Muscovy Duck made in 1794. I have seen them mate in mid air, they look like the capital letter D when they do that. Then the female, the smaller and lighter in color of the 2, will go dip her bottom in the water over and over again and again. They are so interesting. I enjoy watching them, sometimes they even play in the spray. They are fun, and also valuable because they feast on misquitos. They also swarm when the mosquitos are out and the dragin flies are after them for supper. I watched one eat a big horse fly one day, it was weird. I want to share a very special sight I saw one day when the dragon flies were swarming in my back yard. We have 2 big trees that were dormant, and dragon flies were perched on the very tip of each branch. There were hundreds of them, and it made a very unique and pretty sight. We have all colors of dragon flies where I live; pink, blue, yellow, green, very pretty ones, and the common brown ones too. I always take time to smell the roses, and enjoy the views. You learn so much about Gods creation that way. One of the most unusual sights I ever saw. One evening about dusk, I was walking up to the house, and I noticed some strange bugs flying around my night blooming jasmine bush. It was approaching dark so it was hard to see very well, and I could not see color at that time. But there was a bunch of them flying all around this bush. I was trying to figure out what they were. I could not see them well enough to make them out. They was about the size of my thumb to the first knuckle, maybe a little bigger. Since my bush was LOADED with night blooming Jasmine flowers and smelling like Heaven (thanks to my ducks) I thought "OH NO, the bugs are here to eat up my beautiful night blooming Jasmine!" They were moving around so much that I just could not make them out at all. So I stuck my face way into the bush, and there they were, a whole bunch of what must have been Baby Humming Birds. They were AWESOME! They were just flying all around getting the nectar out of the Jasmine and what a lovely sight! I wish I could have seen them in color. I enjoyed that so much! I went out every night and enjoyed them for as long as they kept coming. these were about half the size of regular humming birds. Update ~ I saw them again and they were all a cinnamon brown color, and a bit chunky, not skinny like humming birds. So far, I have not been able to find out what they are. You hear about fire flies (lightning bugs), but have you ever heard of the Lantern Beetle? (also known as the Click Beetle, cause they click) We have them in southern Florida, you mostly see them in June. They are black, and much bigger than the fire fly, and their light is blue. They have a light on each shoulder, but they also have a light on their stomach that they turn on when they are walking, and it lights the way for them so they can see. and enjoy these wonderful creatures. One of the sweetest animals I ever raised, was a Opossum. Many people seem to think they are related to the rat, but they are not. They are a pouched animal and pouched animals are called MARSUPIALS. Opossums are the only marsupials that are native to North America. who knows what they are doing. Maybe one of these days I'll tell you about one of my Opossums that a neighborhood boy brought to me after finding him in the middle of the street, beside his dead mother and siblings, after being hit by a car. He was the only survivor, and so tiny and pink and so hopeless. But what a character, and what a pleasure to have raised him. He was so kind and gentle when he grew up. Please, if you ever are in a car that hits a opossum, if it is dead, please check to see if it has a pouch with any babies. If it does, please take it to a wild life care center. If you don't know of any, call your local zoo, they will either take them ,or tell you who will, or tell you what to do and how to raise it your self, if you want to.If the mother is still alive, pull it by the tail off the road, and tell the wildlife center where it is. Or, if you have a box or something like that on you, you can lift it by the tail and put it in the box and take it to help.If it is dead, would you mind pulling it off the road anyway. But not if it is in heavy traffic that could cause an accident, then you have no choice but to leave it. Have you ever sang with a Raccoon? One night a Raccoon got into one of our empty pens and could not get out. The next day, I was talking to her through the fence and we actually sang together. It was fun and funny. She still comes around every night and eats goodies I put out for her. I would like to bring it to your attention, if you ever see a fiddle crab, notice the adorable big happy face on it's back. Their back looks like it is "smiling" at you. Fiddle crabs are sooo cute and fun. Hermit crabs are fun too. A couple more interesting special fun creatures we have here in South Florida is the "Glass Snake" also known as the "Legless Lizard" or "Glass Lizard". They are pretty and they have bodies like snakes, but they are really more lizard. They have no legs or arms but they have a head more like a lizard and their jaw does not expand like a snake's does. 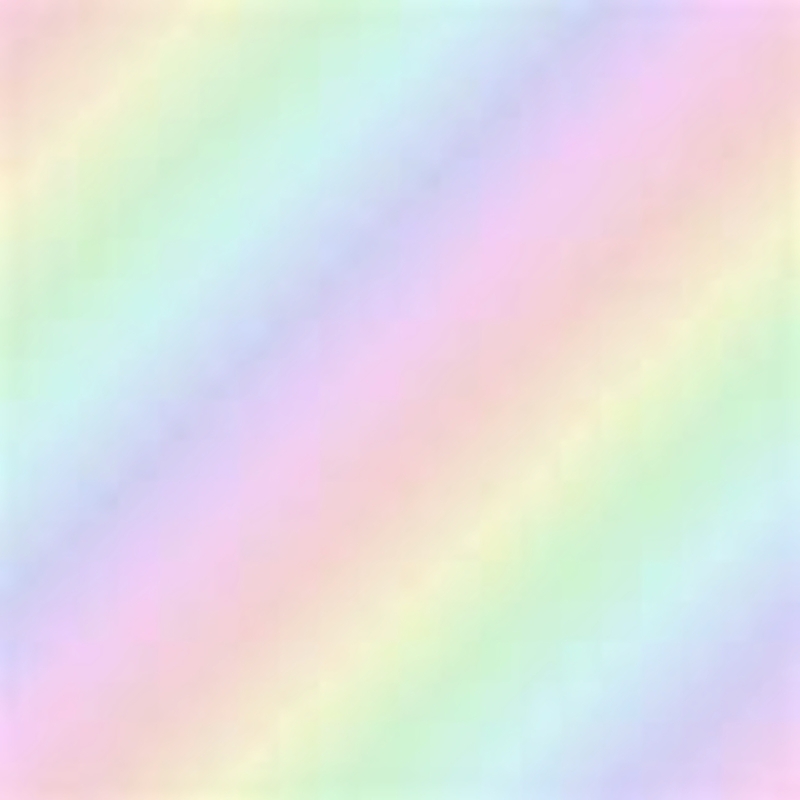 They look and feel glassy and they are harmless. They eat lots of bugs and are a good creature to have running around in your yard. You don't see them much, they are very shy. The other fun one is called a "Jesus Lizard". They are so funny. The male has what looks like a leaf on top of his head, and the female does not have the leaf, but they both can walk on all 4's or stand on their hind legs and run like lightning. They look so funny when they run like that. The reason they are nick named Jesus Lizards is because they can run on water. I have seen them run across our pond here. They are another fun creation to enjoy. Owls can not move their eyes like people can. They can not look from side to side or up and down by moving their eyeballs. Crows are very smart. They even have trials and sentencing, and will sentence other bad crows to death, and then all kill him. There have even been Blue Jays that mimic the sound of a rocking chair. Blue Jays have many different signals they send each other for different reasons. If you happen to see bald headed Blue Jays around September, it's ok. It is common for Blue Jays to go completely bald when they molt. Did ya know that there are 2 different kinds of fowl that hatches? There is the ones who hatch out of their egg, helpless, naked, and ugly, usually with their eyes shut, and they depend on their parents. They are called... Altricial. They are all the regular birds you see flying everyday, and eagles, hawks, etc. me no baby, me no cry, me just glad that cows don't fly."